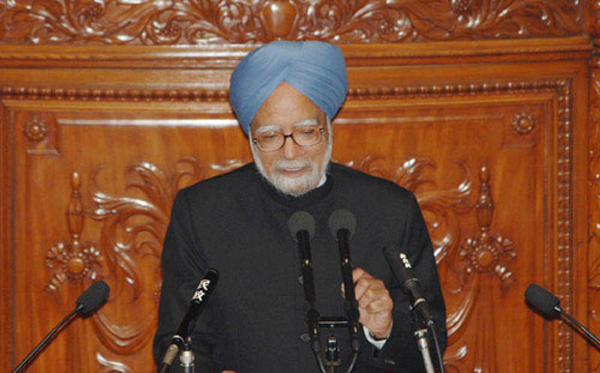 Following is the text of Prime Minister Manmohan Singh’s Statement on the coal block allocation issue over which Parliament’s business has been disrupted for the second week on Monday. 1. I seek the indulgence of the House to make a statementon issues regarding coal block allocations which have been the subject of much discussion in the press and on which several Hon’ble members have also expressed concern. 2. The issues arise from a report of the Comptroller and Auditor General which has been tabled in Parliament and remitted to the Public Accounts Committee. CAG reports are normally discussed in detail in the Public Accounts Committee, when the Ministry concerned responds to the issues raised. The PAC then submits its report to the Speaker and that Report is then discussed in Parliament. 3. I seek your indulgence to depart from this established procedure because of the nature of the allegations that are being made and because I was holding the charge of Coal Minister for a part of the time covered by the report. I want to assure Hon?ble Members that as the Minister in charge, I take full responsibility for the decisions of the Ministry. I wish to say that any allegations of impropriety are without basis and unsupported by the facts. 4. Allocation of coal blocks to private companies for captive use commenced in 1993, after the Coal Mines (Nationalisation) Act, 1973 was amended. This was done with the objective of attracting private investments in specified end uses. As the economy grew in size, the demand for coal also grew and it became evident that Coal India Ltd. alone would not be able to meet the growing demand. 5. Since 1993, allocation of captive coal blocks was being done on the basis of recommendations made by an inter-Ministerial Screening Committee which also had representatives of State governments. Taking into account the increasing number of applicants for coal block allocation, the Government, in 2003, evolved a consolidated set of guidelines to ensure transparency and consistency in allocation. 6. In the wake of rapidly growing demand for coal and captive coal blocks, it was the UPA-I Government which, for the first time, conceived the idea of making allocations through the competitive bidding route in June 2004. 7. The CAG report is critical of the allocations mainly on three counts. Firstly, it states that the Screening Committee did not follow a transparent and objective method while making recommendations for allocation of coal blocks. 8. Secondly, it observes that competitive bidding could have been introduced in 2006 by amending the administrative instructions in vogue instead of going through a prolonged legal examination of the issue which delayed the decision making process. 9. Finally, the report mentions that the delay in introduction of competitive bidding rendered the existing process beneficial to a large number of private companies. According to the assumptions and computations made by the CAG, there is a financial gain of about Rs 1.86 lakh crore to private parties. 10. The observations of the CAG are clearly disputable. 11. The policy of allocation of coal blocks to private parties, which the CAG has criticised, was not a new policy introduced by the UPA. The policy has existed since 1993 and previous Governments also allocated coal blocks in precisely the manner that the CAG has now criticised. 12. The UPA made improvements in the procedure in 2005 by inviting applications through open advertisements after providing details of the coal blocks on offer along with the guidelines and the conditions of allotment. These applications were examined and evaluated by a broad based Steering Committee with representatives from state governments, related ministries of the central government and the coal companies. The applications were assessed on parameters such as the techno economic feasibility of the end use project, status of preparedness to set up the end use project, past track record in execution of projects, financial and technical capabilities of the applicant companies, recommendations of the state governments and the administrative ministry concerned. 13. Any administrative allocation procedure involves some judgement and in this case the judgement was that of the many participants in the Screening Committee acting collectively. There were then no allegations of impropriety in the functioning of the Committee. 14. The CAG says that competitive bidding could have been introduced in 2006 by amending the existing administrative instructions. This premise of the CAG is flawed. 15. The observation of the CAG that the process of competitive bidding could have been introduced by amending the administrative instructions is based on the opinion expressed by the Department of Legal Affairs in July and August 2006. However, the CAG’s observation is based on a selective reading of the opinions given by the Department of Legal Affairs. 16. Initially, the Government had initiated a proposal to introduce competitive bidding by formulating appropriate rules. This matter was referred to the Department of Legal Affairs, which initially opined that amendment to the Coal Mines (Nationalisation) Act would be necessary for this purpose. 17. A meeting was convened in the PMO on 25 July, 2005 which was attended by representatives of coal and lignite bearing states. In the meeting, the representatives of state governments were opposed to the proposed switch over to competitive bidding. It was further noted that the legislative changes that would be required for the proposed change would require considerable time and the process of allocation of coal blocks for captive mining could not be kept in abeyance for so long given the pressing demand for coal. Therefore, it was decided in this meeting to continue with the allocation of coal blocks through the extant Screening Committee procedure till the new competitive bidding procedure became operational. This was a collective decision of the centre and the state governments concerned. 18. It was only in August 2006 that the Department of Legal Affairs opined that competitive bidding could be introduced through administrative instructions. However, the same Department also opined that legislative amendments would be required for placing the proposed process on a sound legal footing. In a meeting held in September, 2006, Secretary, Department of Legal Affairs categorically opined that having regard to the nature and scope of the relevant legislation, it would be most appropriate to achieve the objective through amendment to the Mines & Minerals (Development & Regulation) Act. 19. In any case, in a democracy, it is difficult to accept the notion that a decision of the Government to seek legislative amendment to implement a change in policy should come for adverse audit scrutiny. The issue was contentious and the proposed change to competitive bidding required consensus building among various stakeholders with divergent views, which is inherent in the legislative process. 20. As stated above, major coal and lignite bearing states like West Bengal, Chhattisgarh, Jharkhand, Orissa and Rajasthan that were ruled by opposition parties, were strongly opposed to a switch over to the process of competitive bidding as they felt that it would increase the cost of coal, adversely impact value addition and development of industries in their areas and would dilute their prerogative in the selection of lessees. 21. The then Chief Minister of Rajasthan Smt. Vasundhara Raje wrote to me in April 2005 opposing competitive bidding saying that it was against the spirit of the Sarkaria Commission recommendations. Dr. Raman Singh, Chief Minister of Chhattisgarh wrote to me in 2005 seeking continuation of the extant policy and requesting that any changes in coal policy be made after arriving at a consensus between the Central Government and the States. The State Governments of West Bengal and Orissa also wrote formally opposing a change to the system of competitive bidding. 22. Ministry of Power, too, felt that auctioning of coal could lead to enhanced cost of producing energy. 23. It is pertinent to mention that the Coal Mines Nationalisation (Amendment) Bill, 2000 to facilitate commercial mining by private companies was pending in the Parliament for a long time owing to stiff opposition from the stakeholders. 24. Despite the elaborate consultative process undertaken prior to introducing the amendment Bill in Parliament, the Standing Committee advised the Ministry of Coal to carry out another round of discussions with the States. This further demonstrates that the decision to seek broader consultation and consensus through a Parliamentary process was the right one. 25. The CAG report has criticised the Government for not implementing this decision speedily enough. In retrospect, I would readily agree that in a world where things can be done by fiat, we could have done it faster. But, given the complexities of the process of consensus building in our Parliamentary system, this is easier said than done. 26. Let me humbly submit that, even if we accept CAG’s contention that benefits accrued to private companies, their computations can be questioned on a number of technical points. The CAG has computed financial gains to private parties as being the difference between the average sale price and the production cost of CIL of the estimated extractable reserves of the allocated coal blocks. Firstly, computation of extractable reserves based on averages would not be correct. Secondly, the cost of production of coal varies significantly from mine to mine even for CIL due to varying geo-mining conditions, method of extraction, surface features, number of settlements, availability of infrastructure etc. Thirdly, CIL has been generally mining coal in areas with better infrastructure and more favourable mining conditions, whereas the coal blocks offered for captive mining are generally located in areas with more difficult geological conditions. Fourthly, a part of the gains would in any case get appropriated by the government through taxation and under the MMDR Bill, presently being considered by the parliament, 26 per cent of the profits earned on coal mining operations would have to be made available for local area development. Therefore, aggregating the purported financial gains to private parties merely on the basis of the average production costs and sale price of CIL could be highly misleading. Moreover, as the coal blocks were allocated to private companies only for captive purposes for specified end-uses, it would not be appropriate to link the allocated blocks to the price of coal set by CIL. 27. There are other important technical issues which will be gone into thoroughly in the Ministry of Coal’s detailed response to the PAC and I do not propose to focus on them. 28. It is true that the private parties that were allocated captive coal blocks could not achieve their production targets. This could be partly due to cumbersome processes involved in getting statutory clearances, an issue we are addressing separately. We have initiated action to cancel the allocations of allottees who did not take adequate follow-up action to commence production. Moreover, CBI is separately investigating the allegations of malpractices, on the basis of which due action will be taken against wrongdoers, if any. 29. Hon?ble members, from 1993 onwards, successive governments continued with the policy of allocation of coal blocks for captive use and did not treat such allocations as a revenue generating activity. Let me reiterate that the idea of introducing auction was conceived for the first time by the UPA Government in the wake of increasing demand for captive blocks. Action was initiated to examine the idea in all its dimensions and the process culminated in Parliament approving the necessary legislative amendments in 2010. The law making process inevitably took time on account of several factors that I have outlined. 30. While the process of making legislative changes was in progress, the only alternative before the Government was to continue with the current system of allocations through the Screening Committee mechanism till the new system of auction based competitive bidding could be put in place. Stopping the process of allocation would only have delayed the much needed expansion in the supply of coal. Although the coal produced thus far from the blocks allocated to the private sector is below the target, it is reasonable to expect that as clearances are speeded up, production will come into effect in the course of the Twelfth Plan. Postponing the allocation of coal blocks until the new system was in place would have meant lower energy production, lower GDP growth and also lower revenues. It is unfortunate that the CAG has not taken these aspects into account. 31. Let me state emphatically that it has always been the intention of Government to augment production of coal by making available coal blocks for captive mining through transparent processes and guidelines which fully took into account the legitimate concerns of all stakeholders, including the State Governments. The implicit suggestion of the CAG that the Government should have circumvented the legislative process through administrative instructions, over the registered objections of several state governments including those ruled by opposition parties, if implemented would have been undemocratic and contrary to the spirit of the functioning of our federal polity. The facts speak for themselves and show that the CAG’s findings are flawed on multiple counts. 32. This, in short, is the background, the factual position and the rationale of government’s actions. Now that the report of the CAG is before the House, appropriate action on the recommendations and observations contained in the report will follow through the established parliamentary procedures. Both the PM’s Statement and Manish Tiwari’s observations are perfectly legitimate and in order. But what does one do if the main Opposition party, the BJP is so utterly irresponsible, dogmatic and desperate to seek power. Having tasted it once, they just can’t seem to be getting the taste off their tongue and want it ever more now. Sad! When Mr. ManMohan Singh is so sure that he is innocent , he must take a lead front and set up an SIT inquiry for 2G, CWG and COALGATE?? truth will come out !! If there is a political vendatta, the opponents may be exposed.